Exquisite Parkwood built residence packed with charm, upgrades and situated on a pocket park (+ steps to Central Park and Jet Stream pool). Incredible kitchen showcases luxurious white cabinetry, upgraded black granite countertops, center island, stainless steel appliances and pass-through Butlers pantry to dining room. Light-drenched eating nook leads to uncommon mudroom at the rear entry, making day to day living a breeze. Spacious master suite boasts a private balcony, a spa-like 5-piece bath, & a generously sized walk-in closet. Laundry is conveniently located on 2nd story. 3rd story loft ideal for home office, play area, yoga studio or craft room. The basement is equipped with a wet bar, workout area, and bed/bath. Elegant crown molding. Energy Star qualified home with two-zone heating and cooling + Nest learning thermostats. Nice outdoor space complete w/turf for low maintenance living. 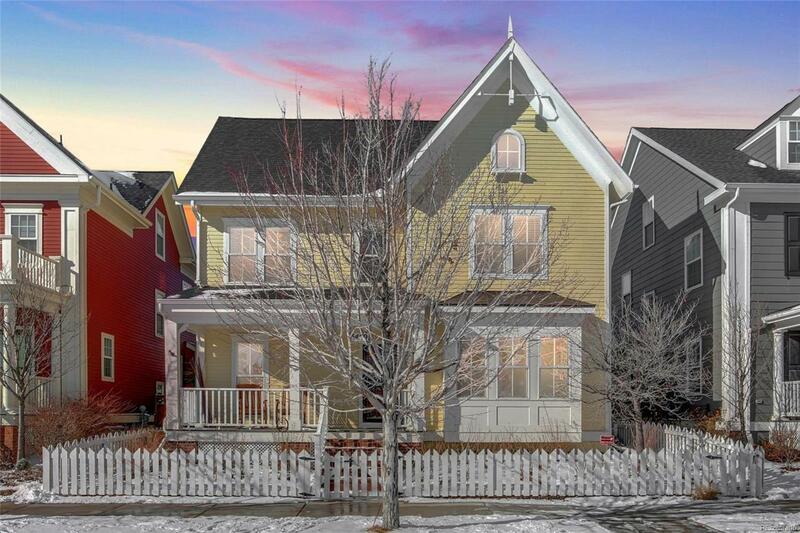 1-minute to nearest dining, 2-mins to Light Rail, 3 mins to I-70. Life surrounds you here!